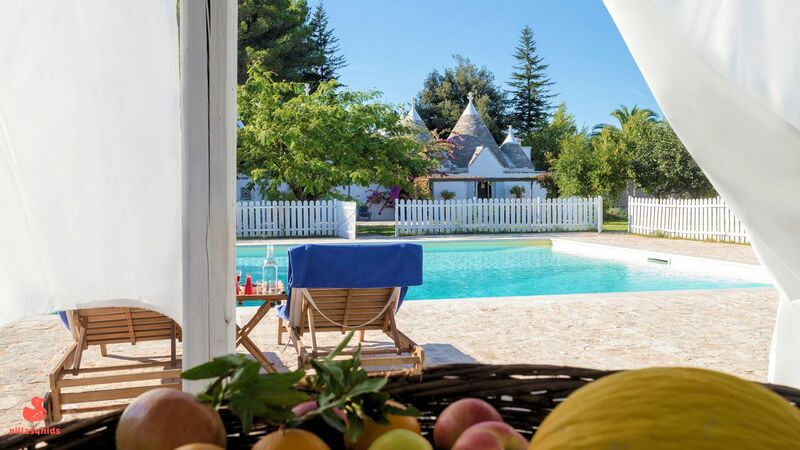 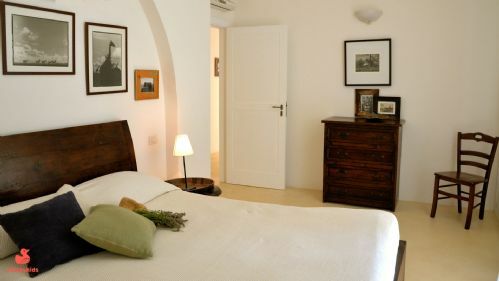 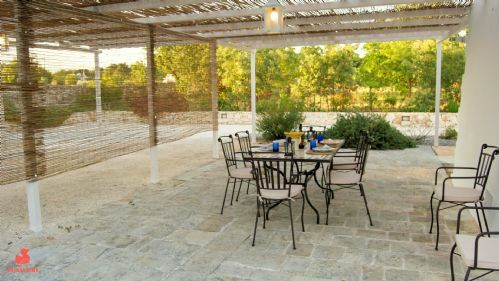 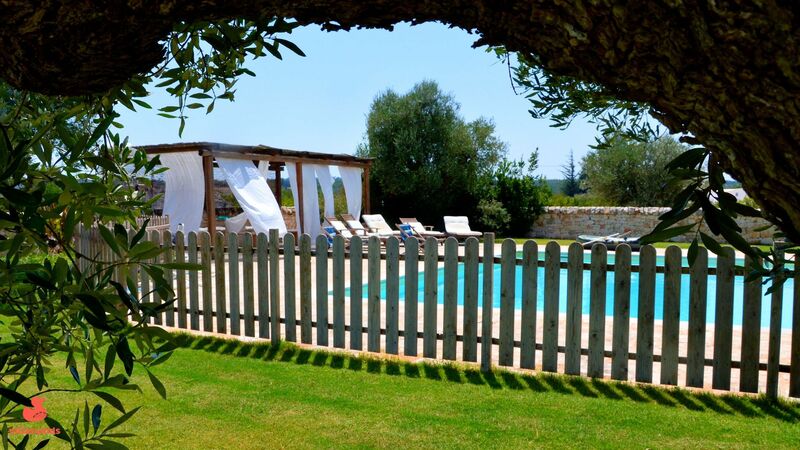 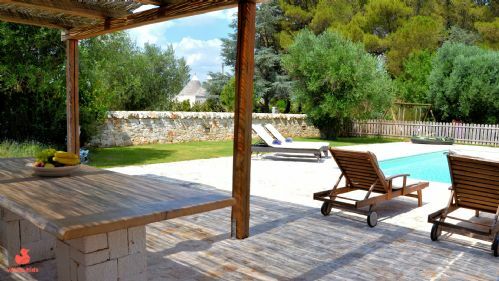 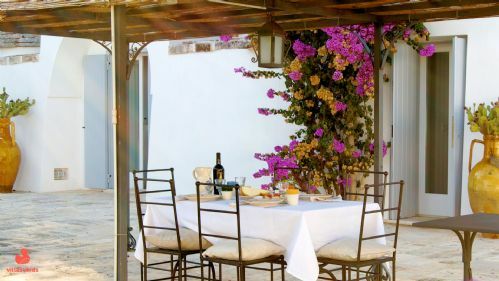 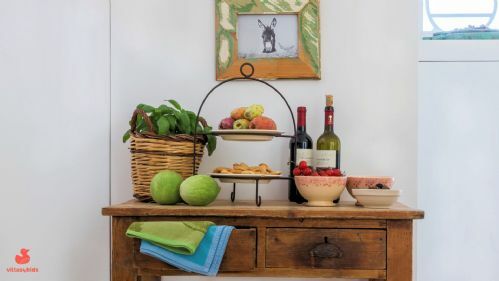 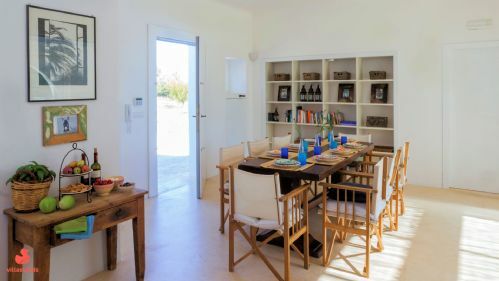 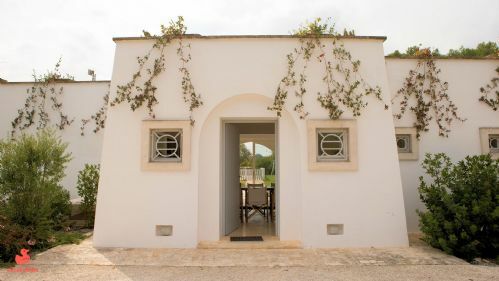 La Bougainvillea is a gorgeous holiday home comprising separate Villa and Trullo in the rolling hills of Puglia. 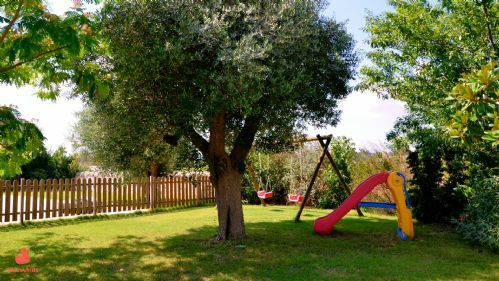 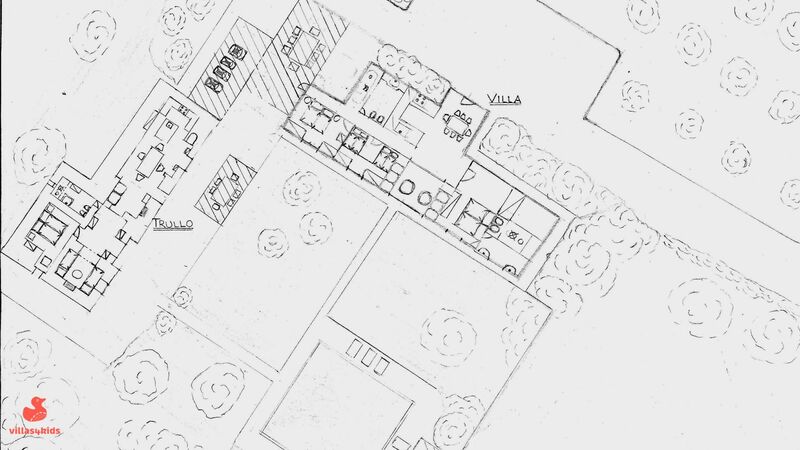 Restored and designed with young children in mind, La Bougainvillea has a lawned garden, play area and a fenced pool. Within walking distance of a Trattoria, an easy drive to village shops, 35 minutes drive to the beach and a hour by car to Brindisi and Bari airports. The perfect location for a large family get togther! La Bougainvillea is one of a few properly child-friendly properties in the area; made up of two separate houses, a traditional restored conical roofed 'trullo' house for 4 and a villa for 6 which can be rented separately or together. 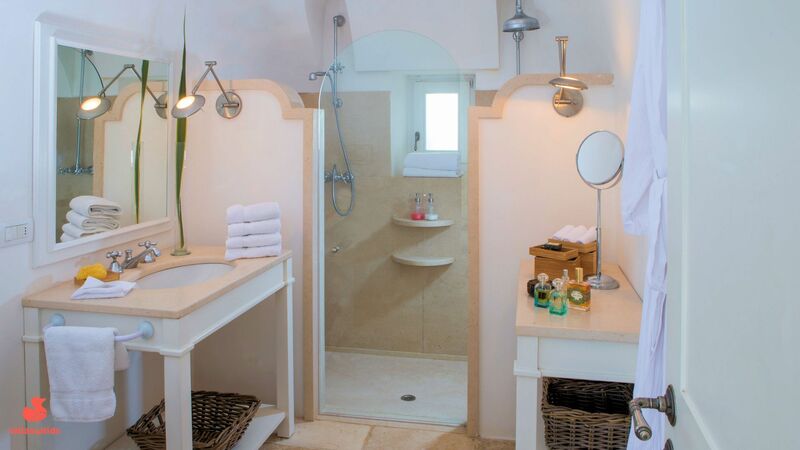 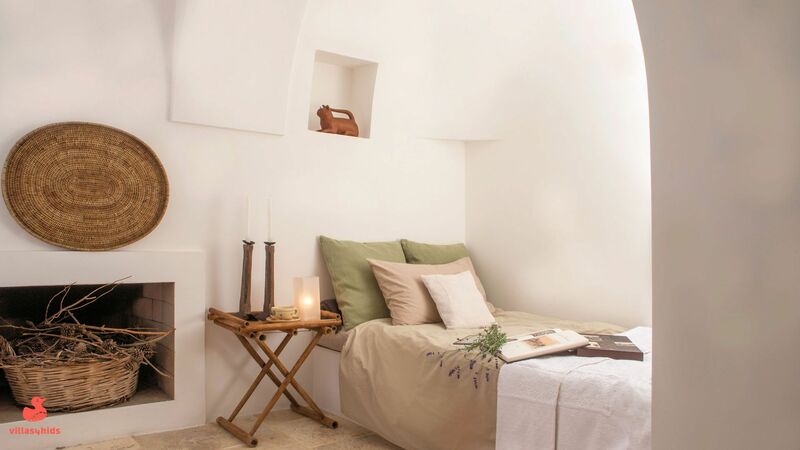 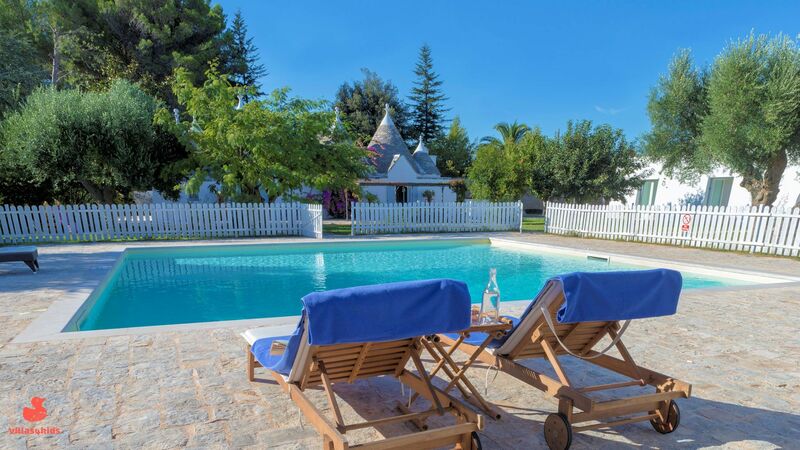 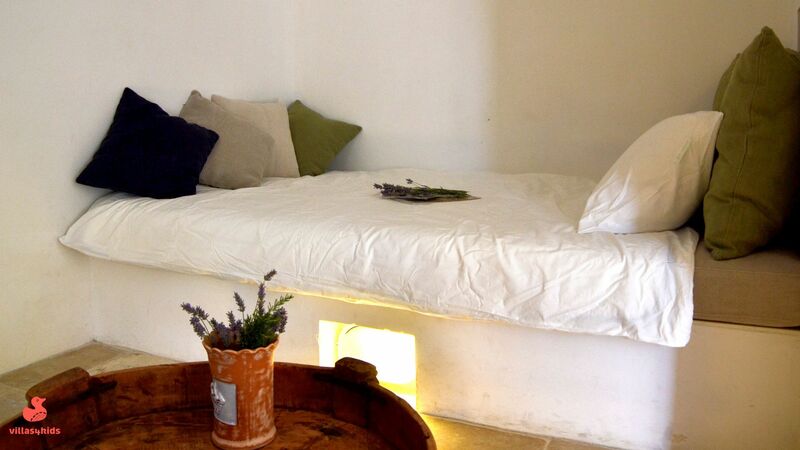 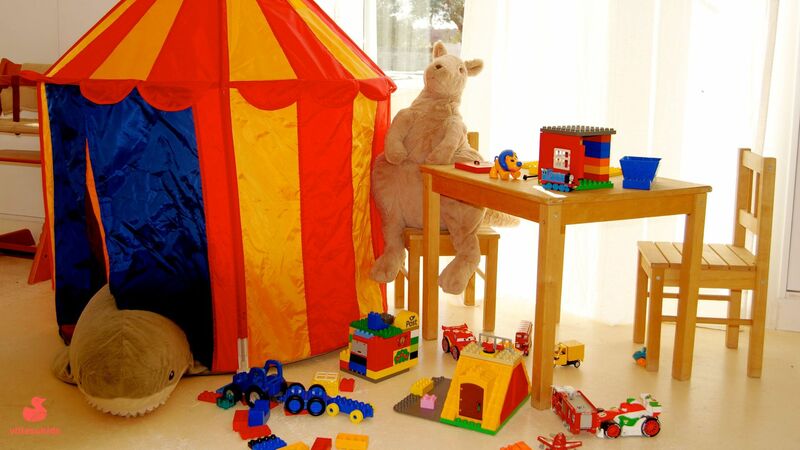 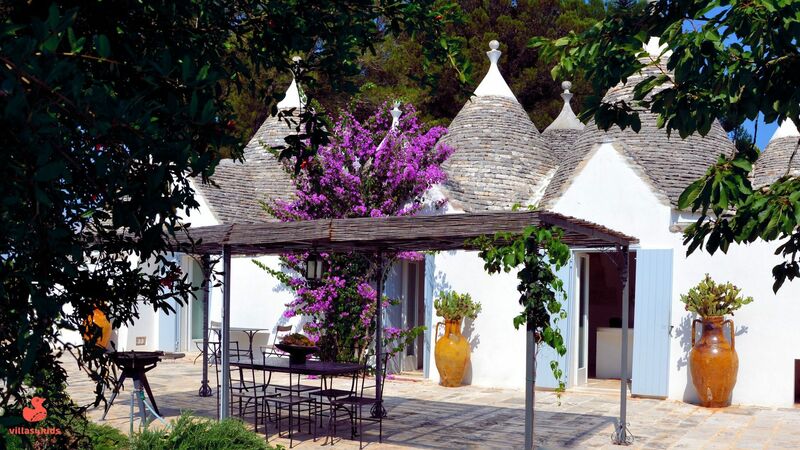 The Trullo - sleeps 4 is a magical coned house will really capture your children's imagination. 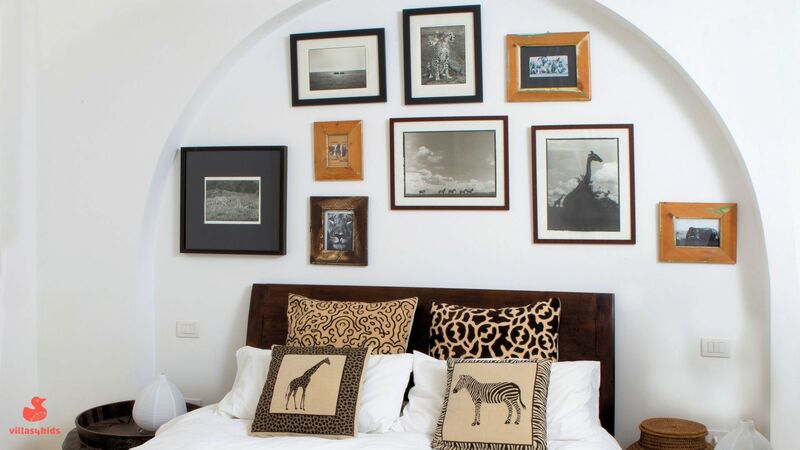 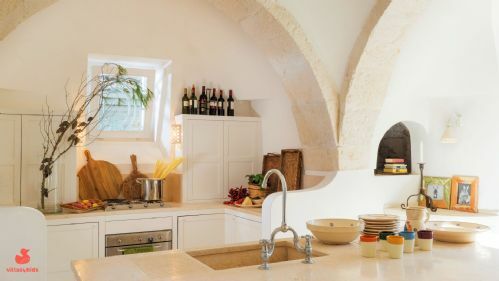 It was built around 1820 by an ancestor of the present owner, then restored sympathetically, retaining its charm and rustic appeal with its traditional stone walls, ancient lime stone floors and arched ceilings. 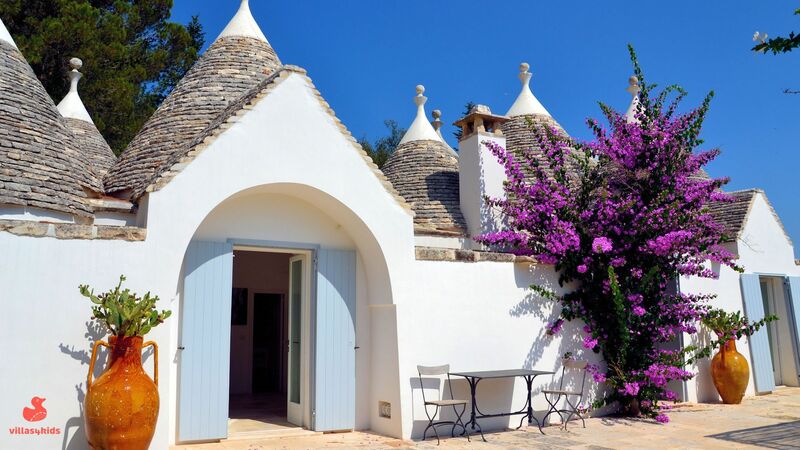 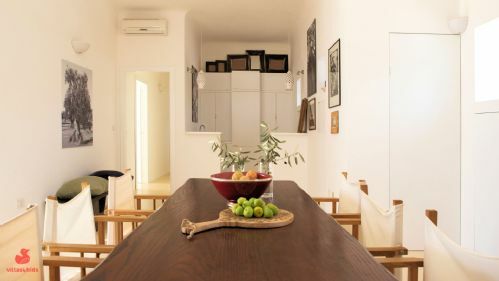 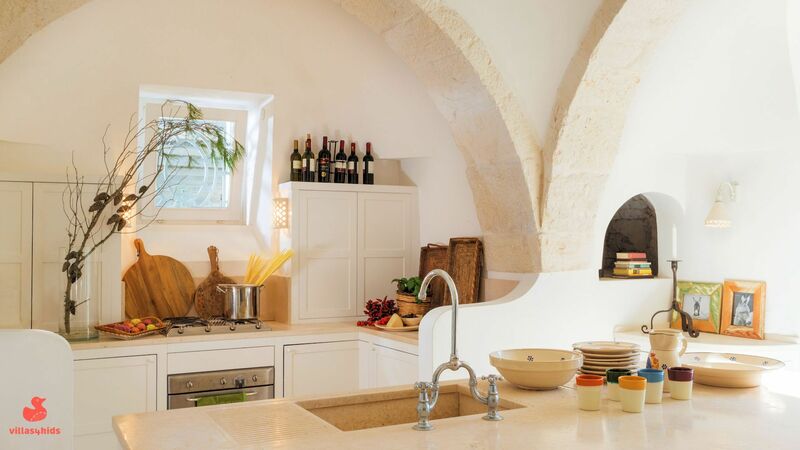 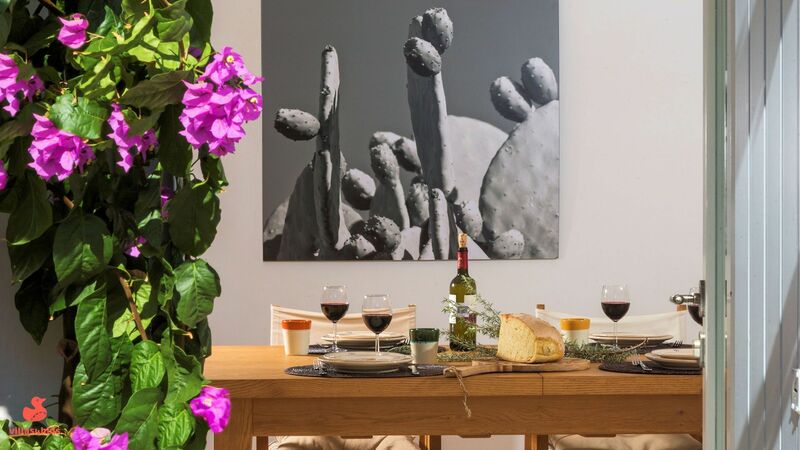 The trullo cones have all been knocked together and opened up to create one homely living space, including a sizeable kitchen with dining area and sitting room. 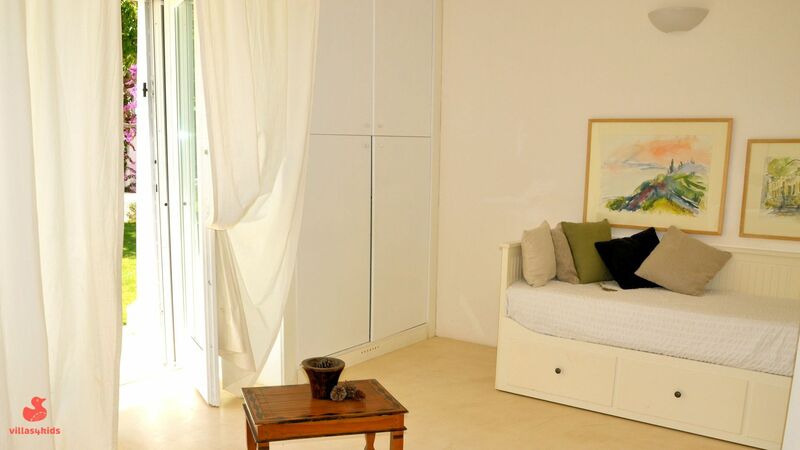 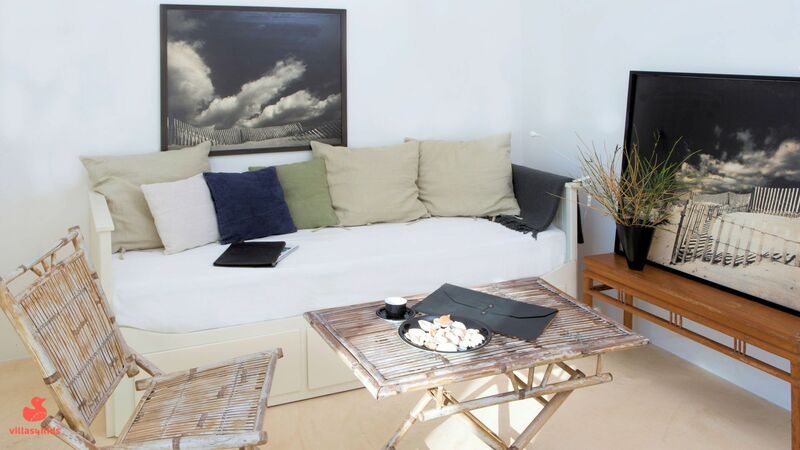 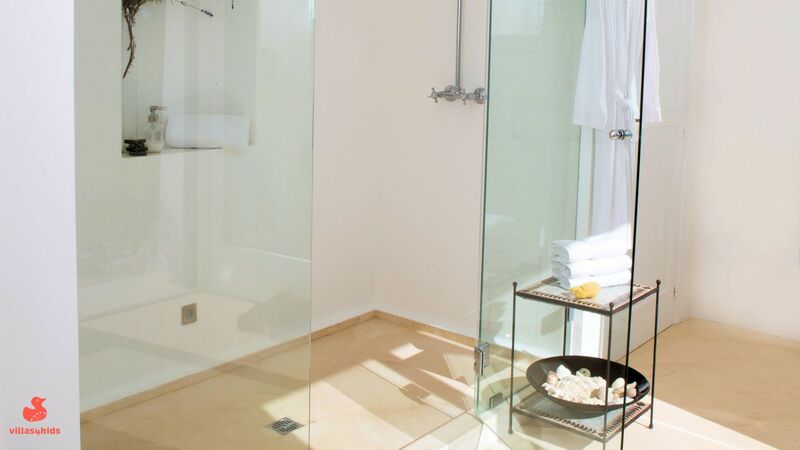 Perfect for a family of four, there is a double and twin bedroom which share a shower room. 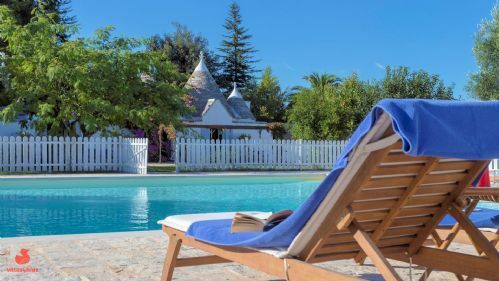 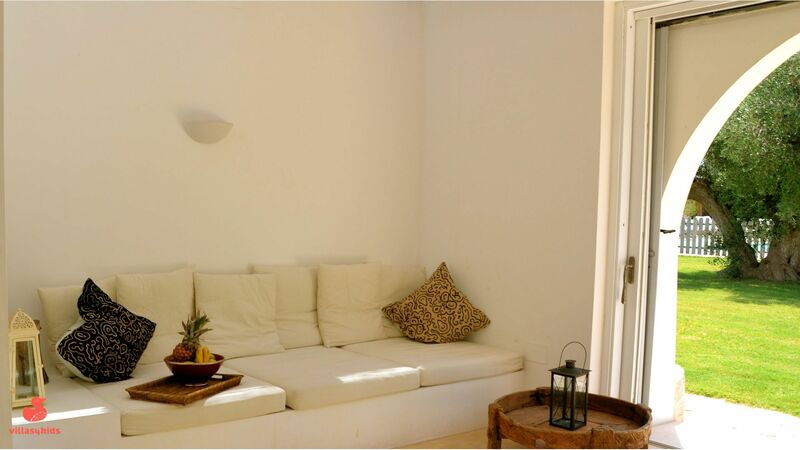 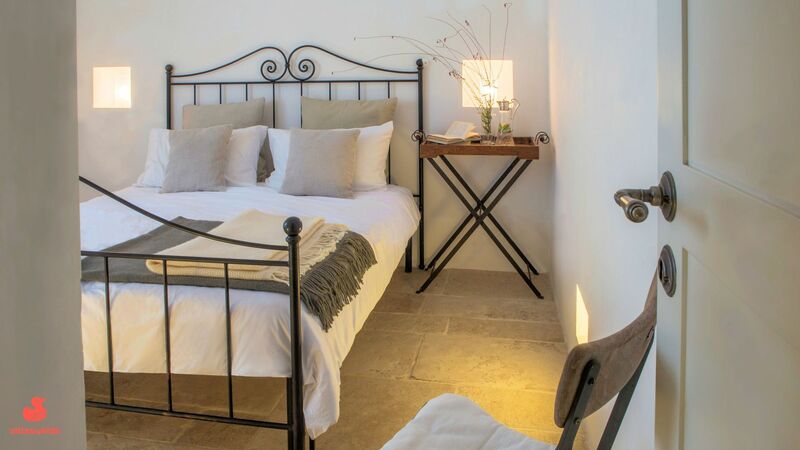 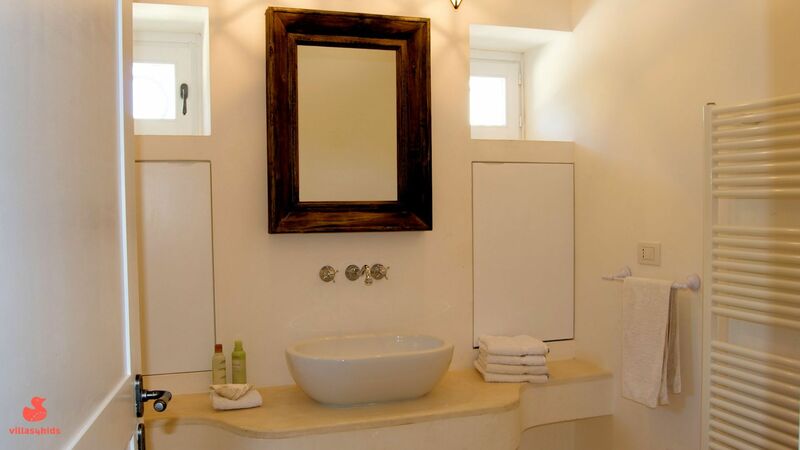 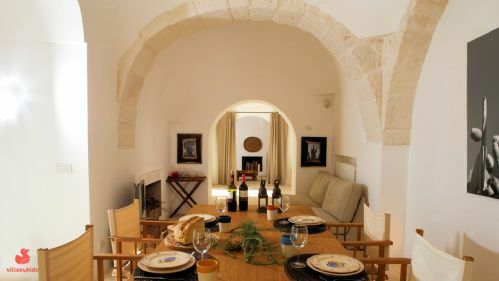 The Villa - sleeps 6-8 has been designed and furnished carefully to complement the style of the Trullo, using local stone and craftsmanship. 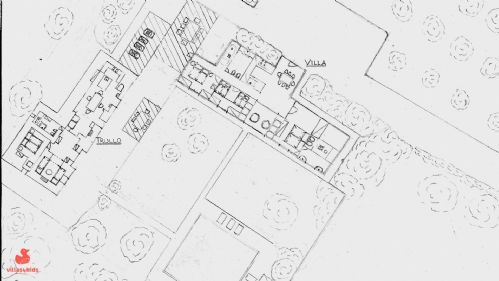 The result is a spacious and welcoming single storey home with an open plan living space, ideal for families with young children. A kitchen with dining table for 8 opens to a sitting room/play area and outside dining area. 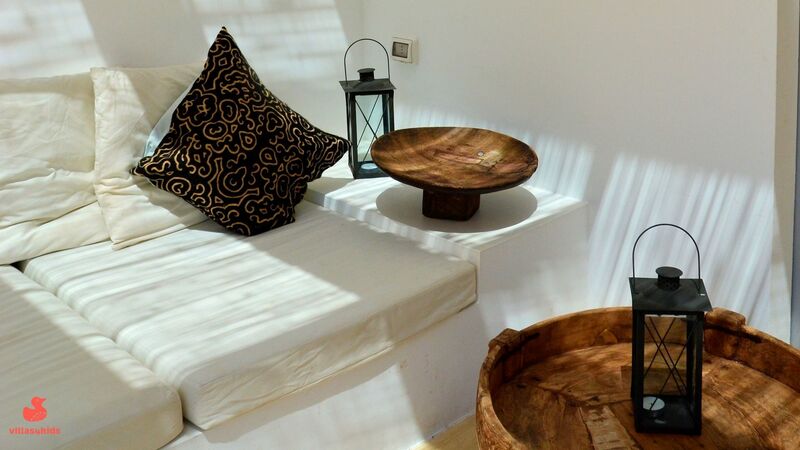 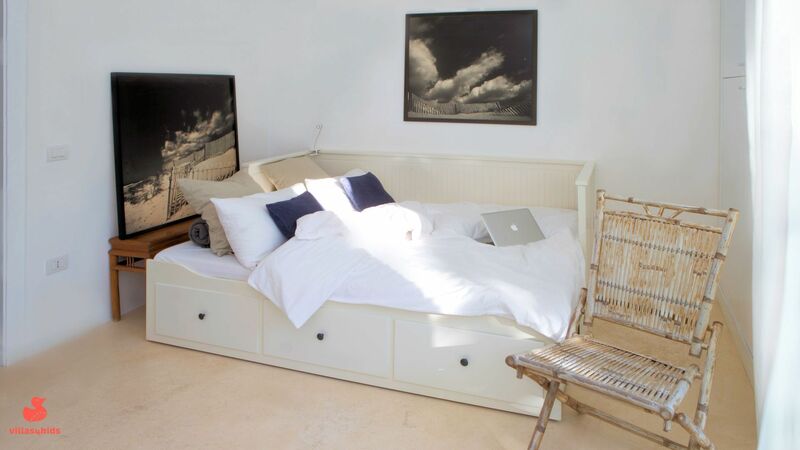 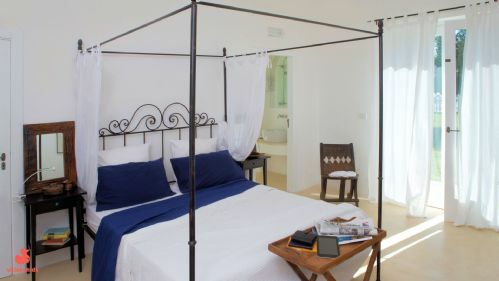 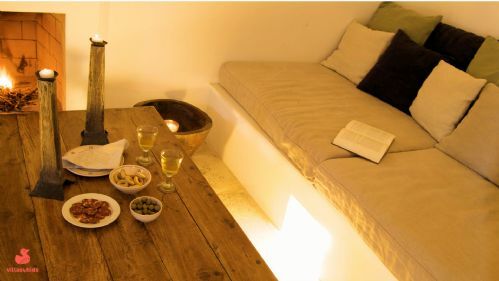 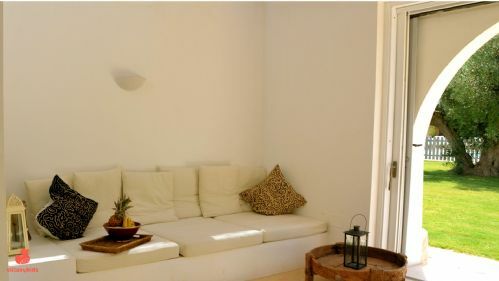 The Villa has two double bedrooms and one twin bedroom which is a good set up for a family of four to six with grandparents or two couples with children. 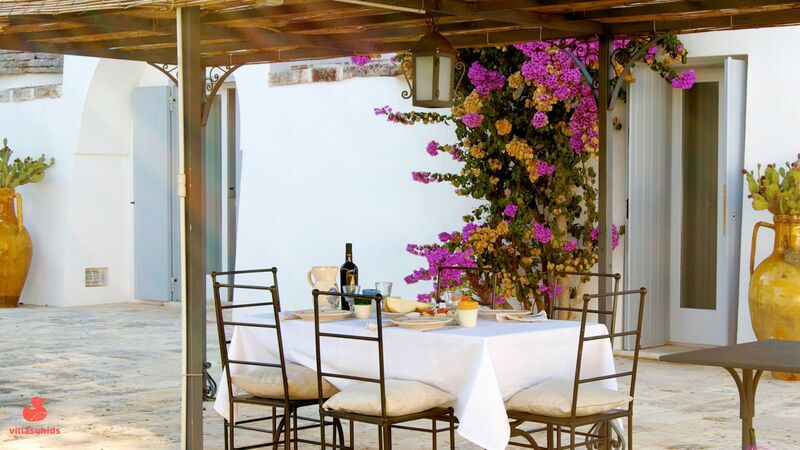 We had a fabulous time, everything was just perfect. 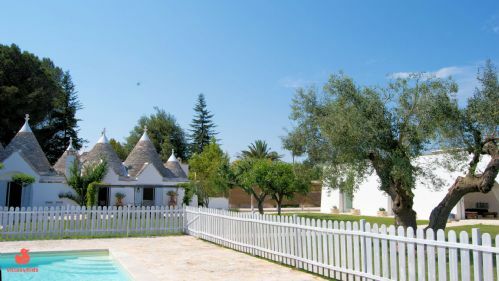 The villa and trullo were stunning with everything we needed. Ina and Sandro were so helpful and kind. 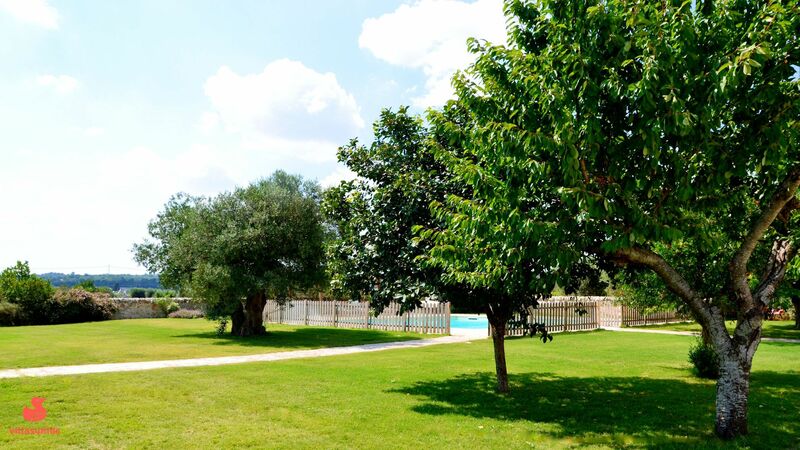 We all had a fantastic holiday and made lots of lovely memories. 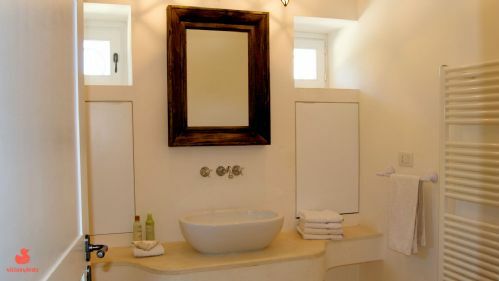 Thank you for all your help - you have been very thoughtful and accommodating. 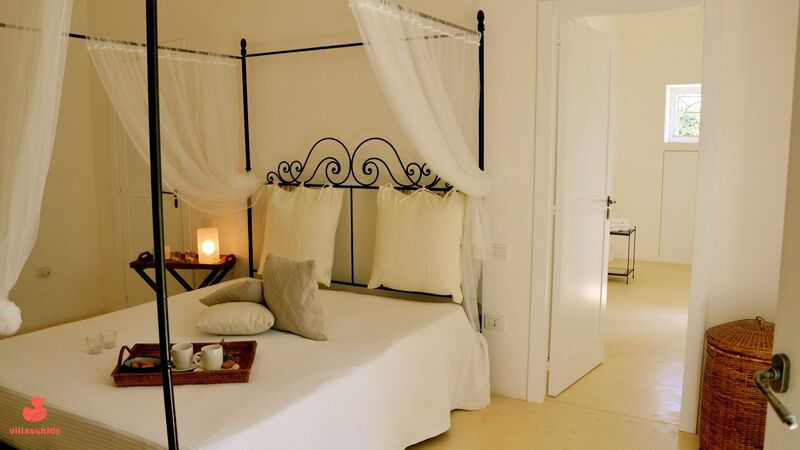 The Villa was very well maintained and laid out, very clean. 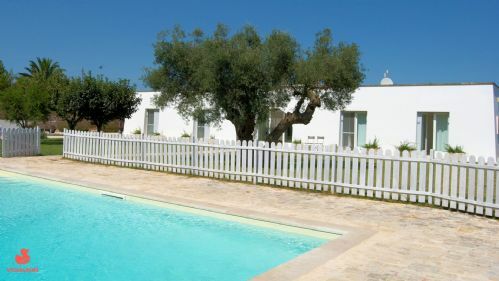 The pool and garden were very well maintained. The owners were super helpful and welcoming, they gave great recommendations. The pool fencing was essential – it meant you could relax in the garden. 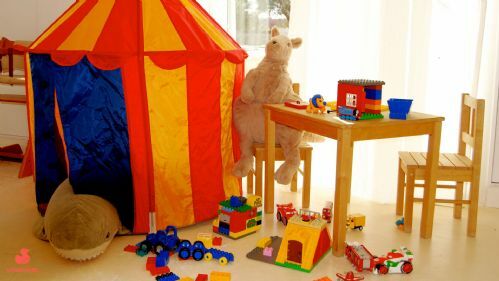 Kids fun stuff was very good and in good condition. We were unlucky with the weather, but could see the area was beautiful. 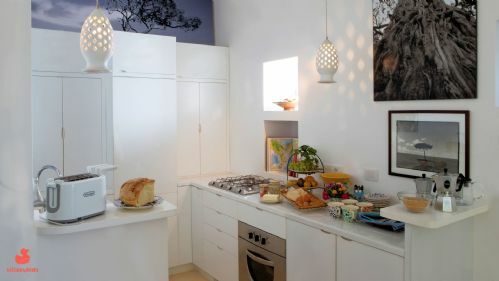 The food was the best bit – amazing – we would highly recommend the chef coming in to cook, she was brilliant and great value.